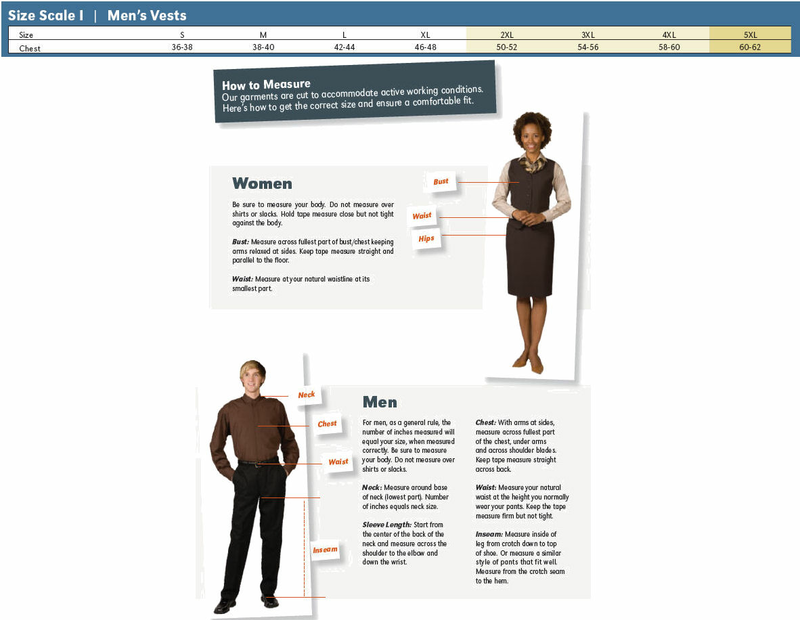 Your doorman plays an important role in your establishment. In addition to opening doors and providing a first-line of defense against intruders, the doorman also offers visitors a first impression of your building or business. 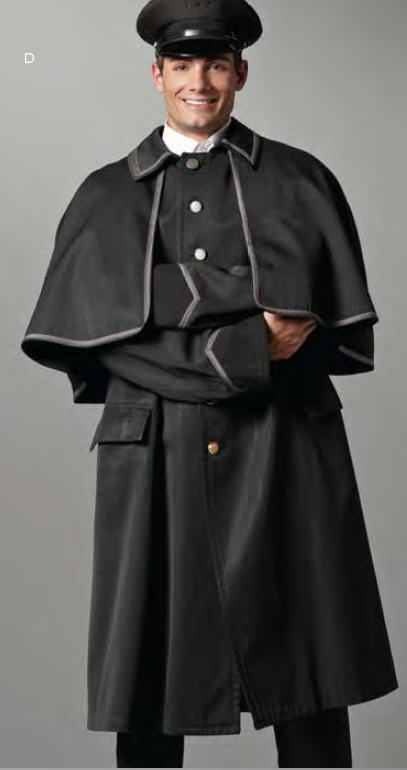 Make sure you're projecting the right vibe to visitors by dressing your doorman in a great Coat with Cape from Sharper Uniforms. 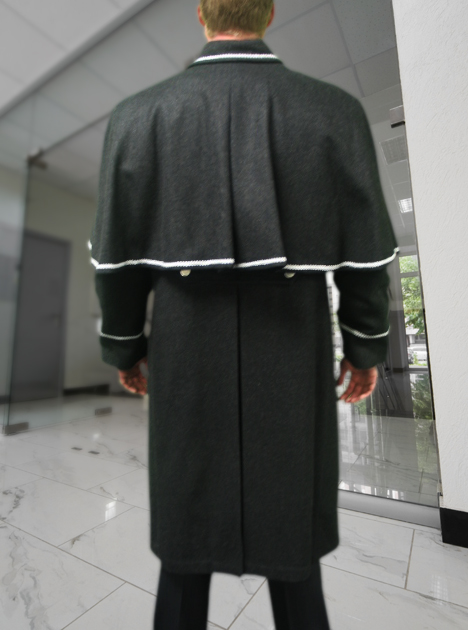 If you are looking for a stylish doorman coat design for your hotel or restaurant employees, then you will appreciate the quality and appeal of this great coat. Designed to last, this doorman uniform is perfect for creating a sense of elegance and luxury for your patrons upon their arrival. In addition to a great appearance, the coat is also completely functional, keeping your doorman warm and dry. This is particularly important in northern climates, where doormen are subject to all types of winter weather. The coat is made from 100 percent melton worsted wool and is great at keeping the chill away. The shoulder cape adds another layer of protection. Note: Please allow 30 days to manufacture the coat.